I have been married to Renee Wright Whisenant since 1982 and we have been blessed with two children, a son-in-law and daughter-in-law. My wife Renee is retired as the Executive Assistant to the CEO at Broughton Hospital in 2015. My daughter Lauren is married to Matt Imboden and they live in Winston-Salem. They have blessed Renee and I with a granddaughter. Both Lauren and Matt earned graduate degrees from Wake Forest University. Lauren is a Physician Assistant at Wake Forest University Baptist Medical Center, and Matt is the Executive Director of Integrative Academic & Student Services at Wake Forest University's School of Business. Matt is also pursuing his Doctorate Degree in Education at UNC Greensboro. My son Tyler is married to Kelli Hemmings and they have blessed us with two additional granddaughters. Tyler is a UNC Charlotte graduate with a bachelor's degree in criminal justice and is employed as an investigator with Maiden Police Department. Kelli is employed as a teaching assistant with New Dimensions Charter School. One of only 94 chief probation officers in the United States. 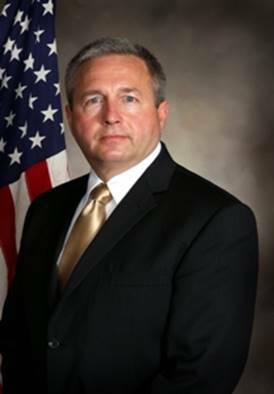 Served as the chief executive officer for the Eastern District of Virginia Probation Office, the sixth largest probation district in the U.S.